We build stronger, healthier communities by providing local organizations with custom-tailored financing solutions for complex structured financings. These involve public/private partnerships, tax credits, grant capital, and/or traditional debt. With $238 million dollars in NMTC allocations, RDF expanded its capacity to fund its core programs by considering mixed-use & special purpose projects that provide clear, mission-consistent impact in underserved communities. Transit-Oriented development (TOD) initiatives. 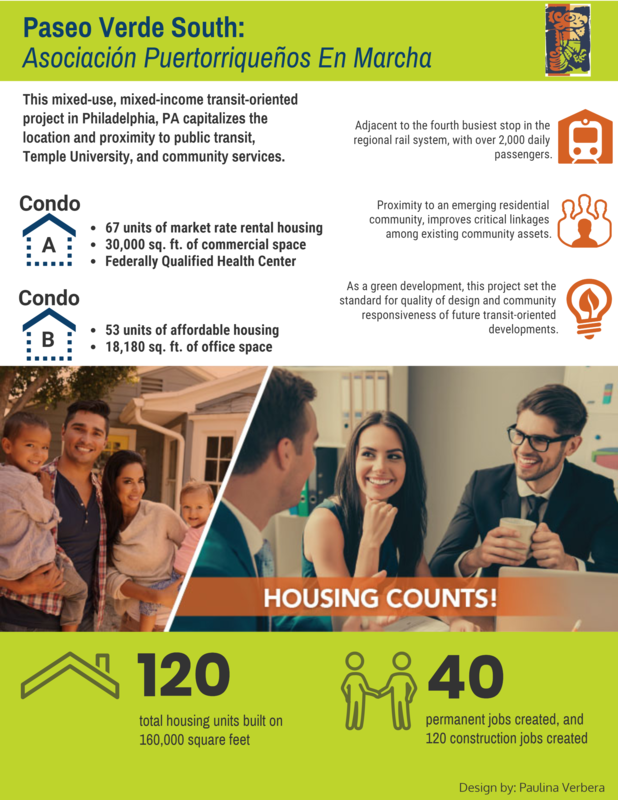 These investments enable the development of mixed-income housing, office, and retail space in walkable communities near quality public transportation, creating better access to jobs, housing and opportunity for people of all stages of life.